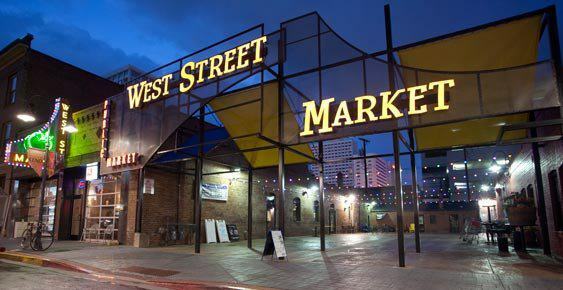 Have You Been to the West Street Market Lately? Let’s be real – downtown Reno’s creative hub has had its share of ups and downs. But with new management and a renewed vision, the West Street Market is primed to become what it always deserved to be – a mecca for good food, good company, and good community vibes. There’s the venue itself as a whole – more on that in a bit – and then there’s the soul of this place. From Thali to The DeLuxe to Sabrina’s West Street Kitchen, The Pizza Collective to Sol Kava, these are places where eating well, being well, and living well, all come first. Our amazing restaurants dish up some of the best food in Reno, and here’s the best part – they’re doing it the right way. These are like-minded businesses aligning themselves with organic and local food movements. When you eat here, you’re supporting ranchers, farmers, beekeepers, artisans, and crafters from right here in your own community. Ask about current local food producers, and see for yourself. Funky and fun, the West Street Market is the perfect stage for grassroots artisan marketplace events, art exhibits, comedy shows, tarot readings, benefits, open mic nights, and so much more. This is where the community comes together to laugh, cry, think, sing, dance, inspire, and imbibe. If you haven’t come to the West Street Market lately to eat or hang out, you’re missing out. Get in the know – subscribe to our events calendar and check back here regularly for updates from our restaurants. Remember – this is downtown’s Reno secret for good food, good company, and good community vibes.